With messaging overload, getting quality face time with your prospects is becoming more challenging than ever. Amongst demand for shorter sales cycles, salespeople are hugely dependent on marketing teams to utilize content and attract prospect attention. There are two main challenges here. One, how to break-in and crack new sales. Second, how to sell again to the existing customers. Historically, marketing has always filled the top of the funnel. With this dependency, the salespeople are traditionally reliant on marketing teams to supply content. Now with social media opening up, salespeople have the option to directly connect with the prospects. That’s where adding video to your prospect outreach strategy comes into the picture. …and that’s the burning topic for the webinar today. Charles Moreton is a long-term advocate for targeted video marketing. He is also the CRO of Videolicious. 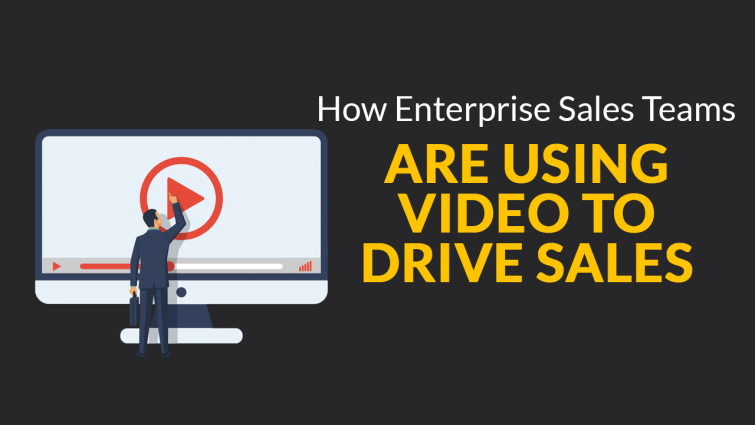 Along with Jack Kosakowski, Global head of social sales at Creation Agency, they discuss how enterprise salespeople can use video to drive sales. Here are a few takeaways from an engaging webinar. The time for video strategy is now! If you’re ready to create a competent brand, the sales departments need to understand the importance of producing unique content to follow up and stay in the mind of your prospect. That’s why modern sales teams are using innovative delivery methods like videos to keep their prospects engaged. Personalized videos help you cross boundaries – a fact many small and midsized businesses have already realized. The enterprises, however, are a little behind the curve, and that is stifling the potential for video in a sales process. The best sales rep in the world focus on brand building and monitor the discussions among their connections. In a socially active world, using video to refine your message and injecting a human element is the need of the hour. That’s why experienced reps use video across all stages of the sales cycle (…and regularly beat the competition.) Using video to build your brand will lead to an improved engagement rate. You can always make videos about trending topics, product demos, and lessons you’ve learned over the years. Creating a relevant video and tagging it responsibly to the right prospects can really help you move forward in the sales cycle. The most competent reps in the world are already doing this, Monday to Friday. You don’t have to be perfect, just be sensible! To begin with, work with a proficient video marketing company that offers a professional environment, well-defined script, and ease of production. There should be clarity and a sense of direction in the way you make the first video. Just be yourself. Remember, you’re not shooting something which is going to be showcased in a theatre near you! Once you’re familiar with the medium, take it to the next level. Develop the script further by receiving inputs from both marketing and sales, and only then move forward. With practice, you’ll find the voice in the video resonating through your prospect. What should be the basic content strategy? Utilize the wisdom and critical takeaways from the previous customers and align the information according to what your prospects need right now. Understand the problem, and then present a possible solution that no one in the market is offering. The core idea is to surprise your prospects with your knowledge and ability to provide answers. Once you become comfortable with it, posting a video every day becomes far more manageable. It’s relatively simple to figure out the topic for your video content. Let’s say you finish a sales meeting, and the prospect has a few questions. Since everybody in a sales meeting cares about different things, you can bucket those individuals and send them a follow-up video which you can also post on your social channels. This is a simple technique that separates you from your competitors and makes you more interesting. Even if you’re a sales rep without considerable connections, video offers a great way to introduce yourself to the people. It’s not just a prospecting tool. You can run a demo. You can begin a sales conversation. You can use it on your email lists and drip them systematically. That helps you to control the sales process with the content that you put in those feeds. With the help of video content, you can create better connections in your niche – which is the route to organic growth in any industry. Enterprises have tons of assets. A large chunk (nearly 65%) of the marketing collateral including images or slides or wallpapers goes unused. You can utilize these for marketing content for sales processes. Rather than just putting the green screen or a whiteboard in the background, use the old case studies and targeted information. A professionally curated video with targeted marketing footage has a better chance of a superior conversion rate. If you’re able to leverage the marketing assets and put a personalized spin, you will always have a great video in your hands. Videos are the future. If you’re a sales rep who’s new to the process, this is the right time to pull the trigger on a video strategy for sales. Start small with a basic schedule that you’re going to stick to. Don’t over critique yourself on a video. 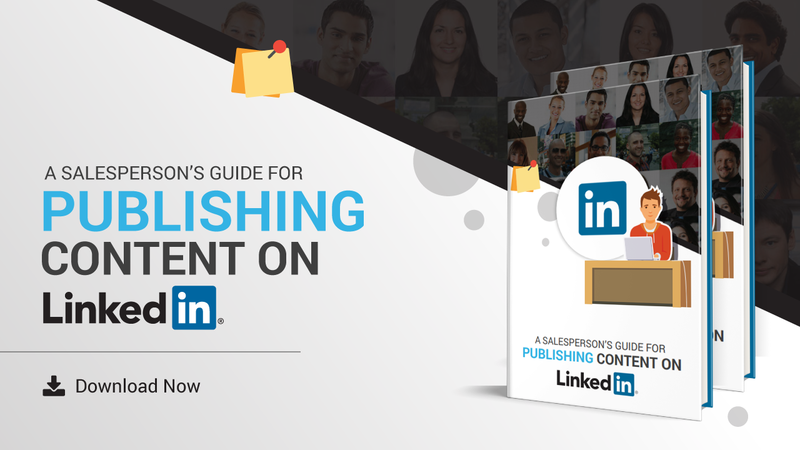 Understand the landscape of social selling, and you’ll make quick progress. Naturally, this topic is too vast to be covered in one single post. If you’re curious, sign up for this top-notch webinar through SkillsLab, and know a lot more about game-changing lessons that’ll transform your communications at every step of the journey.